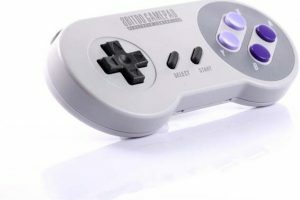 You can check out an updated version of this review for the 2nd Gen revision at fullSTEAMahead365.com. Since writing that piece, the Hemingwrite blew through its crowdfunding goals, went through both a design (polish) and name change (Freewrite), and is now available for immediate purchase and delivery from both the main Astrohaus Website and retailers like Amazon. Most impressions I’ve read to date have been extremely positive, so I was anxious to try out a Freewrite for myself. I’m reviewing the US ANSI keyboard model of the Freewrite, but it’s also available in an ISO keyboard version for elsewhere in the world (additional languages can be set in the Freewrite’s software). Outside of the keyboard layout, all other features remain the same. In the box you get the unit itself, as well as a small Quick Start Guide and braided 1.8 meter (about 6 feet) USB Type-C cable for charging (an extra is available for purchase). Per the Quick Start Guide, set up is simple. Basically, turn on the Freewrite with the ruby red power button on the upper left of the unit, follow the onscreen prompts to start writing, then retrieve your documents by connecting the unit to your free Postbox acccount. While you can technically use the unit without connecting to a Postbox account by using a workaround to connect to a PC, it kind of defeats the purpose of the device. Photos don’t really do the unit justice. As you would hope for the price, overall build quality is excellent. In person, it’s decidedly solid thanks to its aluminum body and rubbery underside. It’s vaguely reminiscent of a vintage portable typewriter, albeit one that weighs only around 4 lbs. The styling is akin to 1960s mod mashed up with 1980s design standards, along with a dash of the present day. It’s a unique look, to say the least. Outside the box. There is a type of screensaver active at all times when the unit is powered off. It occasionally cycles through stylized drawings of famous authors like Agatha Christie, Edgar Allan Poe, and Isaac Asimov (one of my personal favorites). The mechanical keyboard itself, however, is arguably the real star of the show. While I’m used to the loud clank on my PC keyboards of Cherry MX Blue switches, which are prized for typing responsiveness, the Freewrite uses Cherry MX Brown switches, which have a softer sound (you can get a keyboard dampening set if you want it really quiet), and even quicker response. Combined with the solid base unit, it may even provide a pleasanter typing experience than the current steel reinforced mechanical keyboard I use and enjoy so much on my desktop PC. In fact, in showing the Freewrite off to colleagues, the keyboard’s feel and sturdiness in its aluminum base proved to be its most frequently praised feature. Speaking of the Freewrite’s base, unfortunately, there was one annoyance with the build tolerance for my particular unit. Thanks to the upper right rubber foot being pushed in more than the others, it had a slight wobble on the lower left side of the unit, which was just enough to be annoying. Since this was a review unit, my temporary solution was to put a little dab of Blu-Tack on the offending rubber foot, which made the unit level and removed the offending wobble. Unfortunately, the Blu-Tak sometimes stayed stuck on the table surface, so I finally went to a self-sticking 1/2″ diameter cork pad, which worked much better. The only other minor criticism about the design of the unit itself is the handle. While it does its job, it doesn’t stay in place when rotated out of its slot for use. If you don’t place it back down before lifting the unit up, it will slam back down in place on its own. As stated, there are not many complications to the unit, which is by design. Above the keyboard is the main E Ink screen, which is on top of a Status Screen, which by default shows what cloud service the document is being saved to, the date, the language, and the email account associated with Postbox. Pressing the special key switches the Status Screen to different display functions, including a particularly useful one that shows Reading Time, Words, and Characters. To the left of the main E Ink screen and below the ruby red power/wake button, is a folder switch, which allows you to select between A, B, and C folders. You can access prior documents within a folder by holding the new key and pressing pg up or pg dn. The documents are organized by the most recently accessed first. If you need to archive or delete documents, you can do that via Postbox. On the right side of the main E Ink screen is the wifi switch, which can be toggled between off, on, and new, with the latter only being needed when you want to add a different wifi connection. Because of the nature of E Ink displays (essentially the same type of technology you’ll find in dedicated E-readers like the Amazon Kindle), there’s a slight delay between what you type on the keyboard and what’s displayed on the screen. As such, you’ll have to get used to just letting the words flow from your fingers rather than keep track of what’s being displayed on the screen. That’s kind of the whole point of this device, anyway. That’s also why it lacks typical keyboard features like arrow keys; it’s simply not meant for heavy edits, but rather to power out drafts that can then be extensively edited on a more traditional computing device. The basic workflow is simple. Wake the device, choose a folder (if not picking up where you left off), and start typing. When wifi is switched on and connected, what you’ve typed is automatically sent to Postbox, which disseminates it to your cloud service of choice. In my case, I chose Evernote, where it automatically created a Freewrite Notes folder and stored each new document as its own note. While these notes can’t be further edited in Evernote by design (it’s locked for edits from the Freewrite side, so it updates from there), they can be copied into a new note if you so chose. As an additional point of redundancy, the document can also sent via email as both a PDF and text file when you tap the send button. Although you can easily include markup for creating content like blog posts, the Freewrite is really at its best for quick drafts, or, when used by, say, a fiction writer or essayist who has minimal need for initial exterior references and can save that process for the formal editing process on another device. After all, the whole point of the Freewrite is to write and not be distracted by anything else. 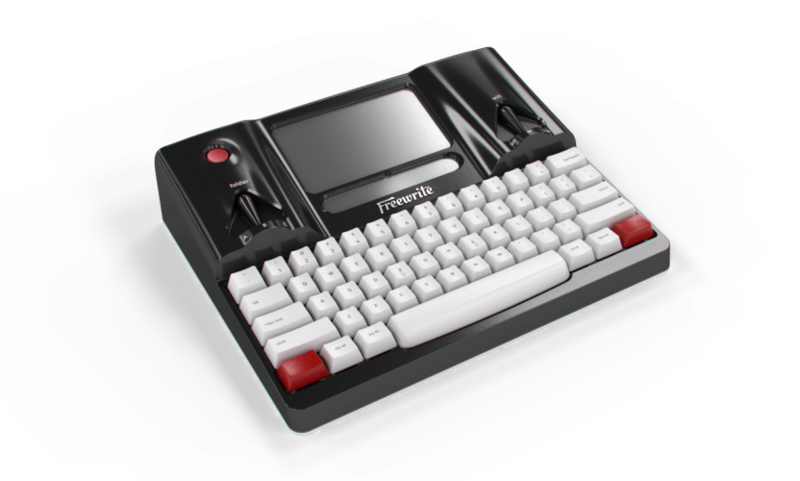 With that said, I did write portions of this blog post on the Freewrite. I found it was a great note taking device when my computer hapened to be off. In fact, I often write myself notes or jot down ideas for various current projects (typically in Evernote, but sometimes in other apps like Notepad++). This is a quick and easy way to do that, with an almost instant on and near immediate ability to compose a note in a dedicated folder, i.e., separate from your main writing folder. In any case, the point is, although there are a selection of keyboard shortcuts, like the lack of arrow keys, the Freewrite is at its best when you allow yourself to just focus on the words to the exclusion of all else. To wax philosophical for a moment, unlike an app on your computer or tablet, the Freewrite is a separate physical device that serves as a constant reminder to write and as a purposeful destination. Seeing the Freewrite in a room, it all but beckons you. 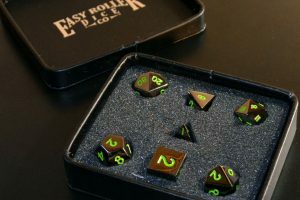 Should you answer its siren call? If you want to write, then the answer more often than not should be yes. If you’re looking for a way to force yourself into a writing routine, this is a great way to do it, separate from the usual distractions of multi-function devices. As part of my testing, I wanted to write a short fiction piece. So, what did I think when writing that? I had come up with a quick idea for a superhero story. The basic premise is that just because the heroes are generally impervious to all kinds of destructive forces, it doesn’t mean their clothing is. With that vague, but hopefully fun idea in place, I proceeded to write. Since I didn’t want to have too much baggage going in, I did away with the usual basic planning and advance plotting. As such, I started with a simple dialog between one of the heroes and someone she just rescued. Unlike simple note taking, it was definitely more jarring trying to write in a more structured manner on the Freewrite. Because I didn’t exactly know what I was writing, the words didn’t quite flow the same as before. In fact, I broke one of the unwritten rules of this device, and that’s to just write. I kept wanting to go back and make changes, refine, and otherwise “perfect” what I was doing. Without arrow keys, that’s of course impossible. So, instead of tediously backspacing, I found myself rewriting the same lines of dialog over, right after its predecessor. Eureka! That’s how this is supposed to work. In any case, I found myself essentially workshopping some ideas on the device, but nothing I was particularly happy with. Nevertheless, I decided to continue this practice for the next session. Subsequent sessions proved more fruitful. The more practice I had with breaking my usual, sometimes tortured writing style of perfecting every word, every sentence, and every paragraph, the words started to flow more easily. It will definitely require a lot of editing work on my computer, but it’s arguably a more productive way to write for certain types of content. In many ways, it’s reminiscent of the old typewriter days, where you type, then edit with a pen, then type up the revised material. Fortunately, this makes that process electronic, so it’s rather less tedious. Despite a few niggling issues, I found my nearly month with the unit a pleasant, fruitful experience. Although there have been many attempts at simplified, portable electronic writing devices dating all the way back to the early 1980s, none have survived to see modern iterations. As a result, all of these legacy solutions (Tandy Model 100/102, AlphaSmart 3000, etc.) to this unique problem require retrofits or other concessions or workarounds to make them function in a modern workflow. While that’s OK for wacko collectors like me who are into maintaining and celebrating vintage technology, that’s not really OK for the average person, particularly since even the best retrofits don’t solve every issue. All of that makes the Freewrite’s relatively high price tag go down a bit easier. Of course, there’s also a plethora of distraction-free writing software for computers and tablets. Unfortunately for those apps, it’s on the same computer or tablet you look at all the time for other stuff. Since all the Freewrite does is allow you to write, psychologically, you’re far more likely to be locked in to the task at hand when using it. As such, the Freewrite has unique potential as an empowering and liberating writing tool. Since there’s nothing else quite like it and it serves its stated purpose exceedingly well, I’m happy to award the Astrohaus Freewrite an Armchair Arcade Editor’s Choice award for 2017. It’s a device with a high curiosity factor, so be prepared for lots of people to ask questions about it! Despite its limited utility and high price, the Freewrite has an almost magical appeal. It’s hard to understand why until you get to handle one in person. The Freewrite has that “it” factor. There is sometimes a lingering shadow from the author “screensaver” when first powering on the unit. This can be distracting, but is easy enough to eliminate by switching folders, then switching back to what you wanted to work on. By doing this, it forces a screen refresh. 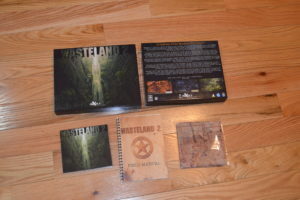 The Wasteland 2 Kickstarter boxed edition received! The Astrohaus Freewrite is brilliantly conceived and the product itself looks very attractive. BUT, the absence of a quick and easy file management system AND the absence of cursor keys are really a deal-breaker for many. Also, too many people do NOT want to be reliant on cloud computing and having to upload / download or entrust our files to the cloud. The ideal product would be the Alphasmart Neo 2 with a mechanical keyboard! Need I mention the Alphasmart’s 700-hour battery life and instant-on function? That’s the product many writers dream of. The Freewrite’s best feature is indeed that wonderful keyboard, but the lack of features already mentioned make it a questionable purchase. I’d argue that the file management system works just fine. You can switch between the three folders rather easily. The cursor key thing is a different issue. That’s a purposeful choice. You have to basically change the way you write, which, obviously, some people don’t want to do. This is really for typewriter-style writing, where you can make fairly recent changes easily (with the backspace), but anything more involved you have to do on another device. I definitely see both sides of the argument, but I don’t think it detracts from the device’s intended purpose by not having it (although I think I’d personally prefer the option). The Freewrite has weeks of battery life and is effectively instant on. 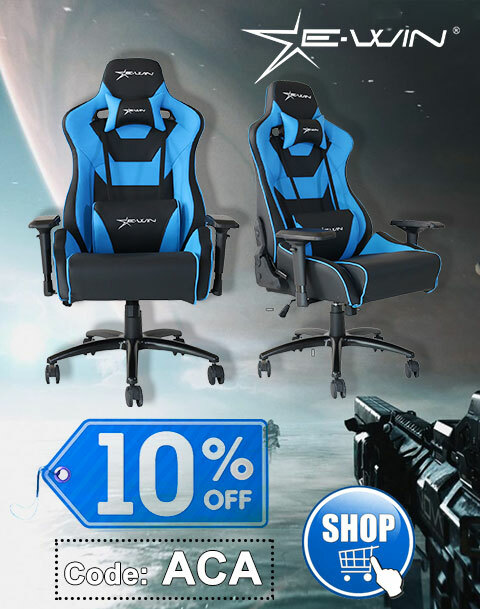 I’d consider it a match for your “ideal” version of the Neo 2. Of course, the Freewrite is far more expensive, noisier, and a bit less portable, but it does have a nicer screen, among other “modern” features. I’d consider the Freewrite more a typewriter for those who don’t want to be inconvenienced by using a typewriter. I consider devices like the Neo 2 something else entirely. Just been travelling with my Freewrite, arrived at my destination to find it not working. Plugged it in – nothing. Waited 1/2 hr. – nothing. What’s happening? Definitely check in directly with Astrohaus. I’m sure they’ll be able to help.